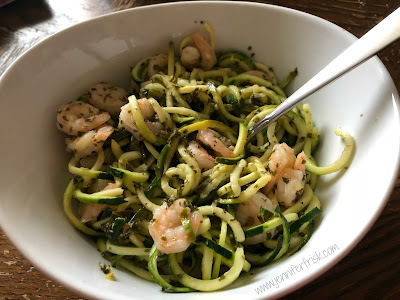 I know I'm a little late to the zoodle party...I mean, I've used them, and I've even posted a recipe using them. But I haven't really grasped how much I could use them - and how good they could really be - until I started digging into the 2B Mindset literature. Ilana is very big on no carbs for dinner, and the mister and I are working towards that, for the most part. That's a little tough for two people who ALWAYS eat carbs at night. And this recipe? SOO easy and so fast! The thing that takes the most time? Simply spiralizing the zucchini! Before I get to the recipe, I wanted to highlight one thing because it always bugs me when I don't know what size fruits to use! 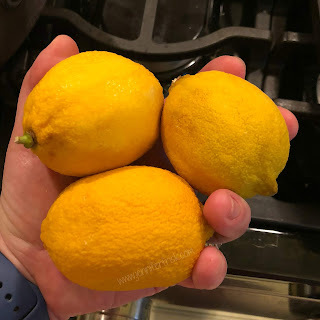 This pic is a pic of the lemons I used. As you can see, I can hold all three in my hand. If you have bigger lemons, you may want to decrease the number! Heat the oil in a large pan over medium-high heat. Add the shrimp in one flat layer and sprinkle with salt and pepper. Cook for one minute without stirring. Add the chopped garlic, then stir the shrimp for another minute or two to cook the other side. 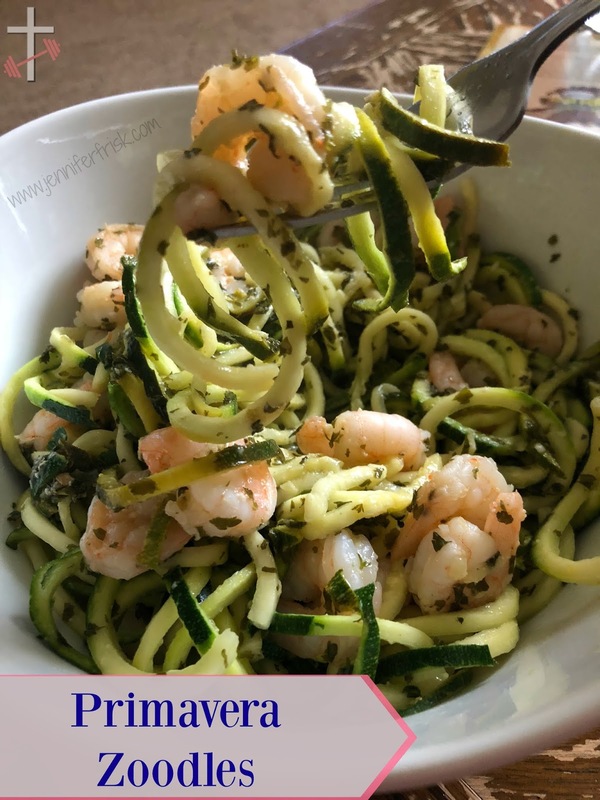 Stir in the parsley, then add the zucchini pasta and toss for 30 seconds to warm it up. For those of you who use the Fix containers, I count 1/4 of this recipe as 1green, 1 red, and 2tsp. Did you try it? Is there anything specific you'd like to see here? Let me know in the comments!